Fourteen years after taking its first nearly new W reg Isuzu 7.5 tonne truck, North West Roofing Supplies are now onto their third generation of Isuzus, with the recent arrival of four brand-new Isuzu Urban 7.5 tonne rigids that are being used for the distribution of roofing supplies all over the North West. Such was the success of the first Isuzu back in 2003 that North West Roofing Supplies has continued to buy Isuzu trucks on a regular basis as the business has subsequently expanded. Now operating four strategically located depots across the region, North West Roofing Supplies buys four trucks at a time, one for each depot, and the second batch of four Isuzus purchased in 2012 have all now been replaced by the latest 2017 spec Isuzu Urban N75.150 rigids. “Without a shadow of a doubt, Isuzus are the perfect tool for our job. We cannot speak highly enough of the importance of all the Isuzus in our fleet over the past 14 years. We have worked them hard but they have consistently proved to be extremely reliable in operation and the 7.5 tonners are giving us an impressive payload close to 4 tonnes” said Steve Phillips, managing director, North West Roofing Supplies. With 26 vehicles in its fleet, North West Roofing Supplies now runs six Isuzus with two existing Isuzu 3.5 tonne Grafter dropside trucks working in addition to the four new 7.5tonners. The Grafters are used for the distribution of plastics and general roof ancillaries, acting as a backup service, delivering to all four of the company’s depots in the North West. Historically, the Isuzus have been exclusively supplied by local dealer Warrington Vehicle Centre with whom North West Roofing Supplies has a successful long-standing relationship. 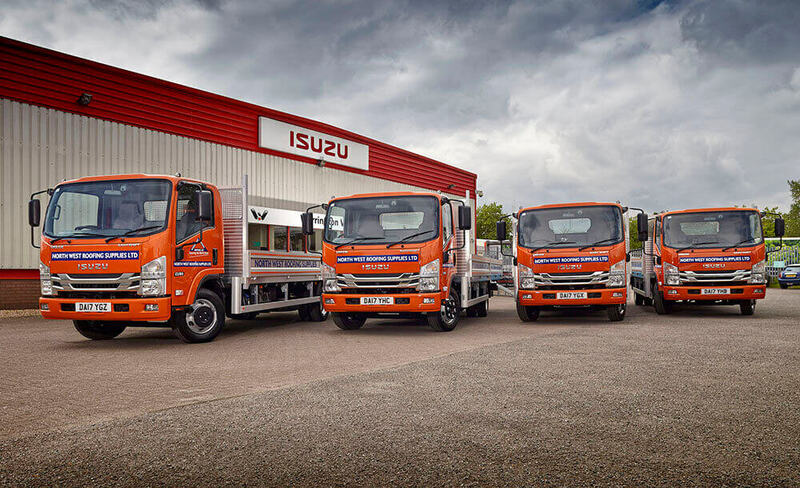 With the trucks sporting a distinctive new orange corporate livery, North West Roofing Supplies anticipates that these four new Isuzus will have a working life of between five and six years. “For North West Roofing Supplies, the journey with Isuzu Truck and Warrington Vehicle Centre has covered a successful 14 year period and the arrival of these latest vehicles will take this relationship well past 20 years. 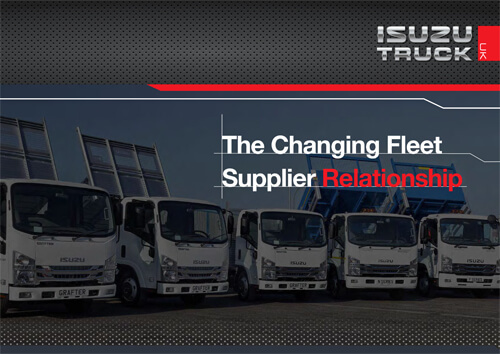 This is a reflection of the success of the Isuzu marque in providing long-term consistent reliability and on the road performance for its customers” said Pete Murphy, managing director, Isuzu Truck UK Limited.